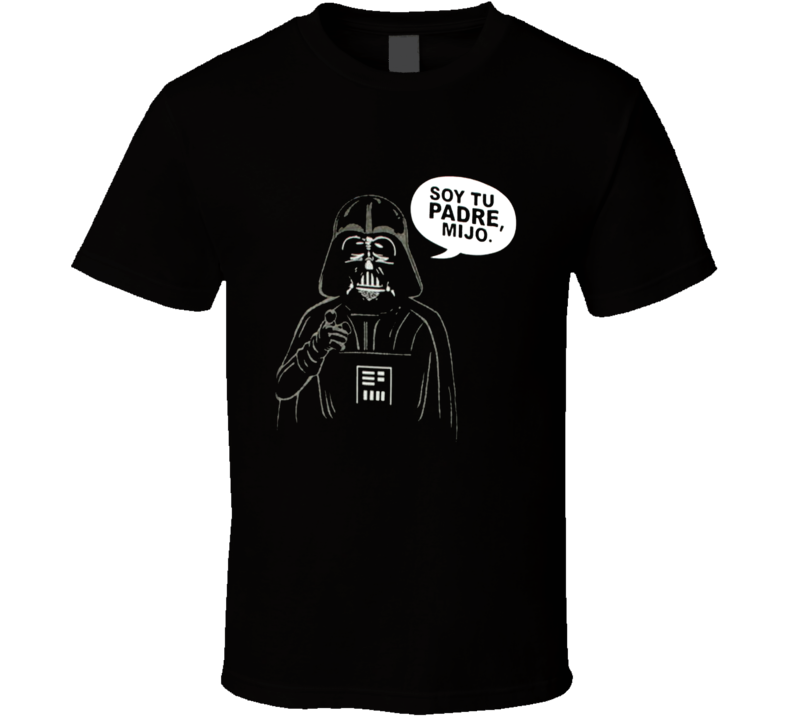 Darth Vader Soy Tu Padre Mijo Star Wars Parody Luke I Am Your Father T Shirt is available on a Black 100% Cotton Tee. 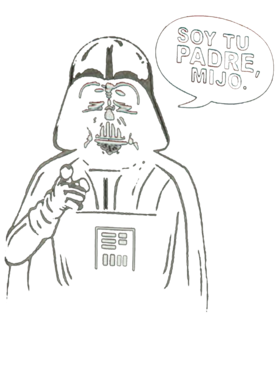 The Darth Vader Soy Tu Padre Mijo Star Wars Parody Luke I Am Your Father T Shirt is available in various sizes, styles and colors which you can select from the right side of the page. Each design is offered on a variety of styles including; t shirts, hoodies, aprons and even baby one-pieces! This product is pre-treated to ensure quality and longevity of the graphic.